In anticipation of #GA223, let PHS introduce you to a historic St. Louis congregation! In the 1890s, Mary Jane Thompson, a freedwoman, began teaching reading, writing, and the Bible to African American children, using the basement of St. Louis' Washington-Compton Presbyterian Church. The school grew into a mission church, and was formally organized by the Presbytery of St. Louis in 1898 as Leonard Avenue Presbyterian Church. In 1908 the congregation's first full-time pastor, Selden Parr, moved the church to Pine Street and rechristened it Berea Presbyterian Church. By the early 1960s Berea had moved out of Midtown to Compton Heights and had become, by its own description, "an all-black congregation surrounded by a deteriorating all-black residential area." The city of St. Louis' urban-renewal programs then tore down much of the surrounding neighborhood, erecting mixed-income housing which attracted new white residents. Wedged between the campuses of Saint Louis University and Harris Teacher's College to the west, and the remaining older homes to the east, Berea's pastor, Carl Dudley aimed to reorient the congregation toward both communities. The congregation self-consciously adopted the signs of a "first-century Christianity," hanging a fisherman's net in the chancel, erecting a rustic wooden cross, and commissioning rough ceramic communion ware. By 1970, much of Berea's membership had dispersed, but remained loyal to the congregation, traveling each Sunday from as far as East St. Louis, Ill. and the St. Louis County suburbs, some 20 miles away. Berea's Christian Conscience Commission had the pulse of the 1960s, doing study and action for peace, fair housing, and antipoverty, and offering "hospitality for groups not welcome elsewhere," including Daniel Berrigan, draft resisters, and supporters of Angela Davis. Members of the Submarine Church, which had interrupted the plenary of both the UPCUSA 1970 General Assembly in Chicago, and the United Methodist Church General Assembly in St. Louis in 1972, were sheltered at Berea. Is your St. Louis congregation represented in the national archives of the PC(USA)? Let us help you with that! 14 hours 31 min ago. 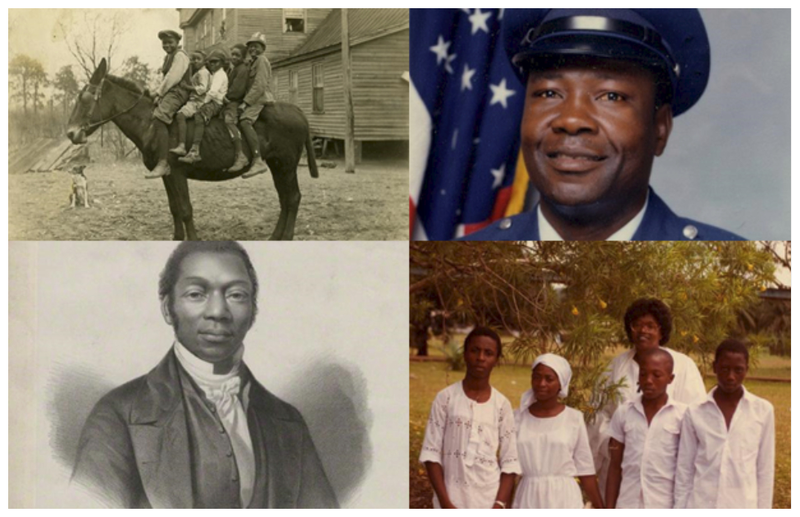 Today’s #HistoricalFigureFriday honors Reverend James Patriot Wilson. Born in 1769 in Lewes, Delaware Wilson went on to graduate from the University of Pennsylvania in 1788. He initially studied law and was admitted to the Bar but the unexpected death of both his wife and brother led him to a religious path. He was ordained as pastor of the Presbyterian Church in Lewes in 1804 and in 1806 he accepted a call to lead the First Presbyterian Church in Philadelphia. He resigned as a much celebrated pastor in the spring of 1830 before he died December 9th 1830. Our portrait of Reverend Wilson was painted in 1807 by none other than James Peale the younger brother of Charles Willson Peale. This oil on canvas painting represents one of the many large portraits James Peale completed after he shifted away from miniatures. To see more works by James Peale visit PAFA The Pennsylvania Academy of the Fine Arts or the Philadelphia Museum of Art.